Need a new boiler in Rochford? Get FREE no-obligation quotes now! Breeden Heating And Plumbing supply and install gas boilers. For similar replacement boiler companies in this area please visit the Rochford boiler page. 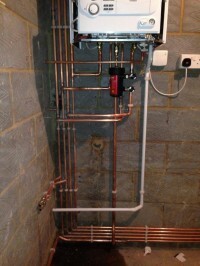 I am a gas and heating installer with over 10 years experience in the trade! I have all current gas qualifications and am fully insured. I have a lot of experience in boiler installs and full heating installs, etc. My work is very neat and tidy and i am polite and punctual.